Plastic SCM is a visual version control system. But, it is also meant to be used from the command line. This guide walks you step by step through common command line interface (CLI) scenarios to help you get familiar with Plastic. Remember, you can always get more info about all the commands using cm help command_name. Run the cm help objectspec command to learn about the definition of the different object specs supported by Plastic. To create a new workspace all you need to do is to use the cm workspace create command. Which means I'm still on changeset 0 because I didn't run an update yet. By default the workspace is configured to use the branch main. The command then will start dumping all the info about the files being copied until I am up-to-date with latest. Now I am on the latest changeset: 573 in my case. Since I didn't specify a starting point, the new branch simply starts from the latest changeset on the parent branch, in my case cset 573 at main. I can use the --changeset and --label modifiers to specify a given changeset or label to start my branch from. The new branch is still empty so Plastic actually didn't update anything on the workspace to do the switch because at this point fix-1342 points to the same cset 573.
status shows not only the wk configuration (as I showed before) but also the files changed, checked-out, moved, deleted and so on. >move code\FileSystem-renamed.cs code\lib\FileSystem.cs 1 file(s) moved. Where Moved locally means I moved the file outside of Plastic control but it is able to find the moved file because it is still 99% similar to the previous version. The default ci command checks in all added files. 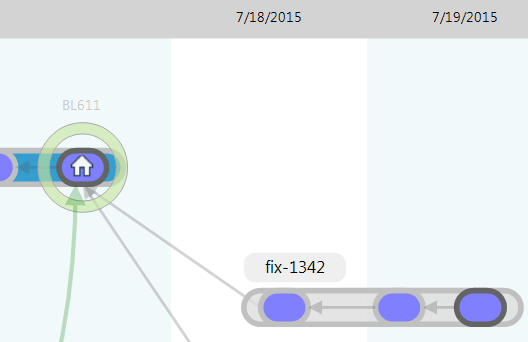 With ci --all I'm basically telling Plastic: detect everything that changed and perform a checkin. And all means: files that are changed, deleted or moved. We can also include private files by using ci --all --private. Note: Please note that I followed a very simple workflow: I just edited the file and then ran a checkin. 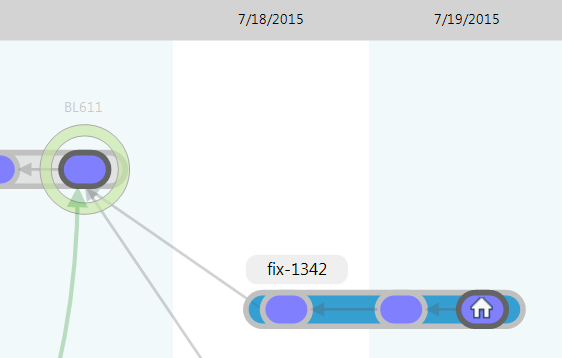 This is the typical edit-checkin workflow made popular by version controls like SVN and Git. Plastic SCM also supports the checkout-edit-checkin workflow. Here you see how it shows that in the last changeset I checked in I modified and moved the file FileSystem.cs. >cm diff cs:575 C "code\lib\FileSystem.cs" M "code\FileSystem-renamed.cs" "code\lib\FileSystem.cs"
After working for a while trying some experimental changes I decide to throw away all my pending changes and start from scratch. How I do that? The output of the unco command shows not only the files but also the directories that where undone. We just show this for the sake of completeness. I used the --all modifier which means: undo all changes whether they're real "checkouts" or simply changed files. In Plastic a "changed file" and a "checkedout file" are slightly different and some commands reflect that. What if you just want to undo a single changed file? Note that I added the --all modifier again in order to make the unco command work with modified and not checkedout files. In Plastic SCM files can be simply changed or they can be checked out. Hence you can follow two workflows: edit-checkin or checkout-edit-checkin. Checking out a file just means telling Plastic "hey, I'm going to modify the file" so it adds the file to an internal list of checked out files. You're used to working this way because you come from Perforce (p4 edit) or ClearCase (checkout). If you work this way chances are that you also like setting all your files as read-only in your workspace as some sort of "protection" so that the filesystem will warn you if you modify a file prior to checking it out. If you need to work with exclusive-checkouts (locks) then you need to checkout files before editing them. Read more about locks here. If you're working on a huge codebase (>500k files) then you might like to use checkouts to speed up all operations. cm status walks through your workspace looking for changes. If you use checkouts then the status command just lists the files in the checkout list, no disk access is required. Working in checkout-edit-checkin fashion is quite simple: all you have to do is to run a cm co command prior to editing any file. Now you can see that Bmp.cpp is marked as checked-out instead of just changed. You see that aselib.c is not "locally moved" but simply moved. Merging from the CLI is quite easy, all you have to do is run the cm merge command. >cm switch main Performing switch operation... Searching for changed items in the workspace... Cannot perform the switch to branch/label/changeset since there are pending changes. Please review the pending changes and retry the operation again. The switch command updates my workspace, replacing all the files I changed on the branch with the versions in main. Merge without any modifier just prints a preview of what's going to be merged so it is very useful to understand what is going to happen. >cm merge main/fix-1342 -c="Added changes and fixes to the interface" The file /q3radiant/Bmp.cpp#cs:577 was modified on source and will replace the destination version The file /q3radiant/alpha/osf/tst/sort.sbk#cs:576 was modified on source and will replace the destination version The file /q3radiant/alpha/osf/tst/spill.2bk#cs:576 was modified on source and will replace the destination version The file /q3radiant/alpha/osf/tst/spill.sbk#cs:576 was modified on source and will replace the destination version The file /q3radiant/alpha/osf/tst/stdarg.1bk#cs:576 was modified on source and will replace the destination version The file /q3radiant/alpha/osf/tst/stdarg.2bk#cs:576 was modified on source and will replace the destination version The file /q3radiant/alpha/osf/tst/stdarg.sbk#cs:576 was modified on source and will replace the destination version The item /common/aselib.c has been moved to /q3asm/aselib.c on source and will be moved as result of the merge The item /code/FileSystem-renamed.cs has been moved to /code/lib/FileSystem.cs on source and will be moved as result of the merge The file /code/FileSystem-renamed.cs needs to be merged from cs:575 to cs:578 base cs:573. Changed by both contributors. As you can see in the last line, FileSystem-renamed.cs now needs a 3-way merge since it was modified by the two contributors. As you can see, it applies all merges to the workspace and it launches the 3-way merge tool you've configured (by default, Plastic's Xmerge) to solve the conflicts in FileSystem.cs. Please note how FileSystem.cs has been properly moved and renamed and that the file contents were correctly merged. You see new statuses in use now: Replaced which means that, for efficency, rather than copy the file in version control, a pointer to the original location on the branch is stored, and then the FileSystem.cs file marked as a real Checked-out since it was merged. The dashed-line means the merge is still in progress and it is not yet checked-in. Plastic SCM keeps a list of the workspaces you have on your machine (at least the ones it knows about, because you can always copy a workspace from somewhere and then Plastic will not have it on the list). This guide gives just a teste of all the things you can do with the CLI. To find out what other commands are available you can run cm showcommands. There may be an occasion when the CLI isn't behaving as you expect, and you want to get in touch with our wonderful support team. To help them diagnose your issue, you can send them a zip-file full of useful diagnostic information, which you can generate using the cm support command as follows. I am working on some experimental code changes, and I want save them in source control, and maybe share them with my colleagues, but I don't want to check them in to any branch because they are just an idea I'm trying out. In this situation, I use the shelveset command to, in effect, commit a changeset not associated with any branch. I have shelved my local changes on the repository. I switch my branch to another workspace and continue working as normal. Later, I want to get back those experimintal changes I was working on. To do this I use the apply subcommand to apply the shelveset to my workspace. We replaced the references to deprecated workspace administration commands like cm mkwk for their new counterparts. We replaced the references to deprecated repository administration commands like cm lrep for their new counterparts. We edited the chapter Create a new branch and switch to it to replace the deprecated cm mkbr command with cm branch. We updated a section about shelving changes using the cm shelveset command. We changed a reference to cm mklabel to cm label inline with the new label related commands in the CLI. We updated the output of cm status throughout the guide to reflect the new output format and changes to the options. 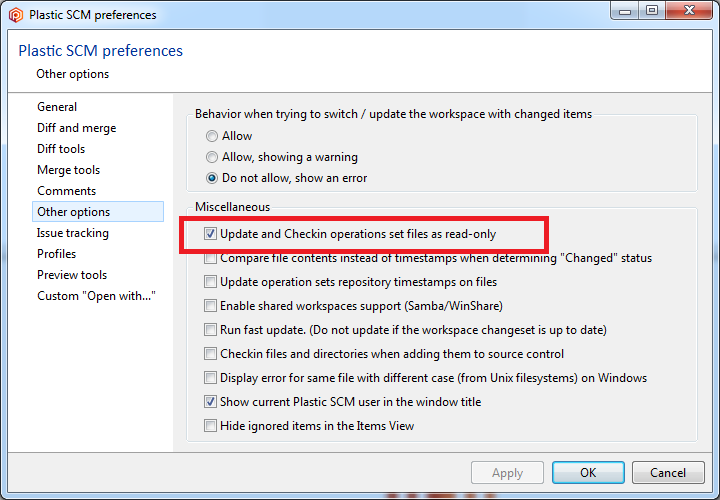 We edited the Create a new workspace chapter to show you how to use cm status --head to view the head changeset. We added a new chapter Getting help to show you how to use cm support to generate diagnostic information. We added a new chapter Local changes to show you how to use cm mv and cm rm to bring local changes under source control. We shortened a few paths in the examples to improve readability. We edited the Merging chapter to show you how to include comments (-c and --commentsfile modifiers) during the merge operation. The cm log and cm diff examples have been updated: now these commands print the workspace root relative paths by default, instead of the full workspace paths. Improved format string for lrep and lwk commands.